If my post yesterday DeepFreeze 7 + Serial. Well this time I will share the Anti DeepFreeze0.4. Anti-DeepFreeze is an earlier version of the ADF. Anti-DeepFreeze 0.4 has been able to break through the Deep Freeze 7 with ease. So maybe one day you forgot yourpassword deepfreeze, no need to panic you can just use this little tool. 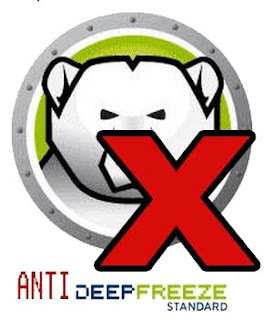 Download | Anti DeepFreeze 0.4 - (250 KB). Thank u so very much for posting such a wonderful Free Software Download.This Full software is quite helpful for us and we are very happy to get it as cracked version software from ur site. I want to get Anit Deep Freeze . thanks admin for nice sharing. Download link is not working..:( ..? I am glad to read about such a useful information you share.Keep posting.Thanks for sharing. Deep freeze is a nice software.